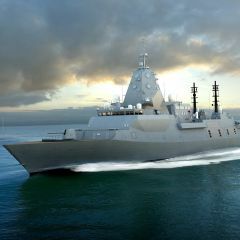 The $90 billion continuous naval shipbuilding program is the greatest regeneration of Australia’s naval capabilities since World War II and provides the opportunity not only to create new jobs, but to replace jobs lost in the automotive and other manufacturing industries, according to the Naval Shipbuilding College. It is expected to drive unprecedented employment opportunities, with thousands of jobs on the horizon that are set to last for many generations. The initial program will be followed by naval warship, submarine and auxiliary vessel replacement programs that are yet to be defined. All sorts of skilled and professional workers will be needed to build and sustain our future frigates, submarines and offshore patrol vessels, and when the build phase is complete Australia will have a sustainable advanced manufacturing capability that will provide the jobs of the future. Leading the charge is the Naval Shipbuilding College – the fulcrum between job-seekers, the naval shipbuilding industry, and education and training providers to ensure a skilled workforce develops to meet future capability and demand. The College has been established by the Australian Government with Kellogg Brown & Root and Huntington Ingalls Industries (the largest shipbuilder in the United States, on the back of a 130-year partnership with the US Navy). Naval Shipbuilding College Program Director Bill Docalovich said the College is focused on making naval shipbuilding a “career of choice” as it continues to develop endorsed courses with education and training providers throughout Australia. “Naval shipbuilding in Australia will offer a diversity of job opportunities and career pathways. We are working hard to inform high school students, university leavers and job seekers about these opportunities,” Mr Docalovich said. “This is truly a nation-building program that will positively impact the Australian economy given more than 15,000 jobs will be created as part of the naval shipbuilding plan. The expansion of the naval shipbuilding and repair sector is expected to have a ripple effect within the broader maritime industry, with a surge in demand for portable skills such as engineering, project management and supply chain management. Australian Maritime College Principal Associate Professor Shuhong Chai said that AMC had the expertise and infrastructure required to help build this capacity and facilitate the success of the naval shipbuilding program. “We’re pleased to be a strategic partner of the Naval Shipbuilding College and are working in collaboration with pre-tertiary education providers around Australia on aligning our courses to meet industry demand,” Associate Professor Chai said. “We’ve recently signed agreements with South Metropolitan TAFE, TAFE SA and TAFE NSW to create direct pathways from their diploma and associate degree level courses to AMC’s specialist maritime engineering and global logistics degrees. The University of Tasmania is also engaging with business and industry on plans to create a defence and innovation precinct alongside AMC at the Newnham campus. If the proposed precinct is realised, it will build on existing AMC defence strengths in naval design and systems to incorporate new endeavours across a range of disciplines. The proposal sits within a broader $300 million investment program to establish new University precincts at Inveresk in Launceston and West Park at Burnie. Meanwhile, the Naval Shipbuilding College is working closely with the shipbuilding industry, including the appointed prime shipbuilders BAE, Naval Group and Lürssen, to determine exactly what jobs and skills will be needed to ensure AMC graduates are job-ready and at the front of the employment line. “Naval shipbuilding will provide opportunities for workers at every stage of their careers. This includes attracting school-leavers, those transitioning from another industry, former shipbuilding employees and unskilled workers interested in a new career,” Mr Docalovich said. 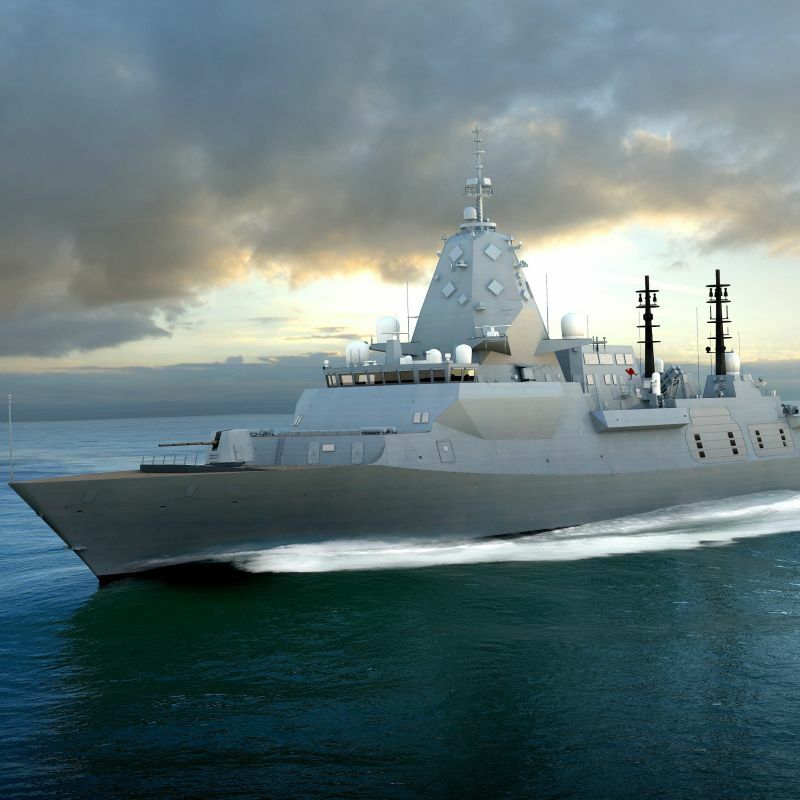 (Photo): BAE Systems will build nine Hunter Class frigates for the Royal Australian Navy as part of the continuous naval shipbuilding program (BAE Systems).